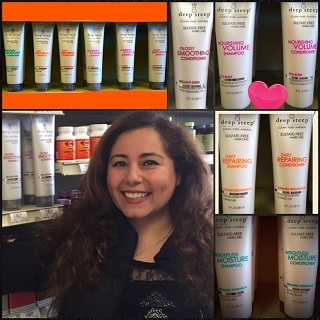 Looking for paraben and sulfate free shampoos and conditioners? We’ve got them! How flexible your blood vessels are affects how well your cells are able to take in much-needed nutrients, how well the vessels handle the pressure of blood pumping through them, and more. Read about these nutrient studies that looked at vascular health. In the first study on long-term vitamin K2 supplementation and cardiovascular health, 227 healthy postmenopausal women took 180 mcg of vitamin K2 – menaquinone 7 per day, or a placebo. After three years, while the placebo group had an increase in blood vessel stiffness, women who took vitamin K2 saw an average 33 percent improvement in blood vessel flexibility. Discussing the findings, doctors said it was remarkable that the women taking vitamin K2 not only did not experience the typical age-related stiffening of the arterial walls, but also saw measurable improvements in vascular elasticity across the entire circulatory system compared to the placebo group. Arterial flexibility has a direct link to longevity. This review of 20 studies covering 1,909 people measured the effects of taking the antioxidant vitamins A, C, E and beta-carotene, alone or combined, on arterial stiffness, compared to placebo. Healthy people of any age who had taken any one of these antioxidants alone or together in any combination, for any length of time, had lower chances of developing arterial stiffness compared to placebo. Doctors also saw improvement among those with existing arterial stiffness who took vitamins compared to placebo. Overall, combining results from all 20 studies, taking antioxidant supplements reduced the chances for cardiovascular disease by 4.7 percent. Doctors concluded that taking antioxidant vitamins has a small, protective effect on arterial stiffness. Betsy’s Note: The supplements mentioned in this article also thin blood. In addition, K2 is contraindicated with blood thinning medications. This article is for educational purposes only. It is not intended to diagnose, treat, prevent or cure any disease. Consult your healthcare provider.